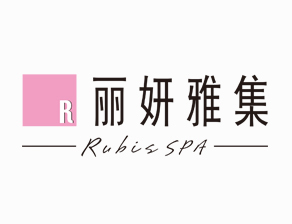 As a pioneer in China’s spa, Rubis SPA has always been committed to induce the cutting-edge philosophy and technology for women in China. Rubis SPA launched its first store in the prosperous central business district in Shanghai in 1999, where marked its miracle journey. Rubis SPA established its leading position in the skin care market fields with the following qualities: Elegant environment, Professional beauty technology, Excellent beauty products, Advanced beauty equipment, Attentive services, Perfect club – house system. As where Rubis SPA has left its footprints, we have continuously pursued strategic plans in upgrading on skin-care products. Rubis SPA has committed to use high-end Swiss products, which amalgamate natural ingredients with cutting-edge technology. Synchronizing with multi-million dollar imported state-of-the-art equipment, every store ensures one’s satisfaction from body contouring to each individual need of skin caring. Rubis SPA professional R & D department constantly upgrading the skin care philosophy and international technology. With our own development of Pilates face and neck massage concept, combining facial acupuncture with breathing rhythm, the treatment will give your skin a unparalleled experience.